Called “Thermoblades” it’s a new type of hockey skate that uses rechargeable batteries and computer microprocessors to heat the skate blades. The result is a thicker layer of water between the blade and the ice surface, which reduces friction and increases skating speed. Four NHL players have been anonymously testing them in game conditions. The product launch was at the Hockey Hall of Fame, and the projected cost of the skates will be $400 Canadian. This innovation is, quite simply, a technological shortcut to a performance advantage. Those with Thermoblades will get a speed-boost versus those with traditional skates. Biomechanics and 3D technology takes ice skaters to a new level. In the past, application of biomechanics to directly improve athletic performance has been minimal. However, performance improvement is more often realised through advancements in equipment design (ie. snow boards, football boots, clubs, skis), but improvements to actual skills have been sporadic. The goal is to utilize technology to conduct rapid assessment of the athlete’s performance and to provide objective and mechanically sound recommendations for improvement in a form that both the skater and coach could immediately use. Prior work with the skaters taught that most were failing to complete their jumps because of ineffective posture during the flight phase of the jump. The fact that the skater isn’t in contact with the ground during this part of the jump simplified the analysis and enabled the adoption of a 3D modelling approach to improving performance. There are several advantages to this approach. First, different strategies to improving performance could be examined without putting the skater at risk by asking them to implement the strategies on-ice. Second, unproductive strategies could be ruled out while successful strategies could be identified, minimising the amount of trial and error that would normally be part of the process. 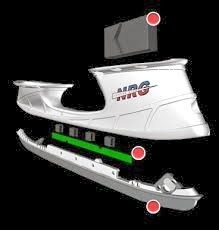 Finally, the skater and coach would be able to view a 3D rendering of the model to see how changes would look during the performance, providing them with a visual example of how the performance would appear for each individual athlete. To date, the outcomes of the on-ice analyses have met expectations. Within approximately 10 minutes of the performance, the skater and coach can begin working with the model. The coaches can experiment with both traditional and non-traditional arm, leg, and trunk positions and immediately determine whether they benefit the skater’s performance. Most skaters report being able to implement the recommended changes in a period of 2-3 weeks, and frequently receive email and/or video evidence of a skater’s success. Additionally, trends associated with successful jumping styles have begun to emerge, and coaches are able to apply this knowledge to the training efforts of other skaters. The research on the shoulder presented a different set of challenges. Early on in my career, I analysed shoulder mechanics of pitchers ranging in skill from little league to major league. The obvious flaw in the analysis was the fact that it ignored the contribution of the scapula (shoulder blade), a structure critical to shoulder function. Drs. Kozin and Zlotolow at Shriners Research Hostpital provided the medical direction for the work, which focused on measuring scapular contribution to specific clinical positions used to estimate the patient’s degree of shoulder function. The approaches began with surface mapping strategies using hundreds of markers and evolved to more landmark specific strategies using a few as 10 markers. To date, it has been possible to differentiate between scapular contribution and glenohumeral contribution (the ball and socket joint in the shoulder) to specific arm positions, and are working toward measuring the scapula during dynamic motions. In the future, improvements in technology and new approaches to the mathematical analysis of human motion will continue to advance the ability to analyze and improve performance. Looming on the horizon are optical systems that can capture motion data outdoors, optical systems that can capture motion data without markers, and wireless sensors that can measure body orientation without the use of cameras. It would not be surprising if in the near future, much of the process now performed with expensive, high-end technology becomes available in the form of affordable lightweight portable sensors coupled to a smartphone app. Most people associate motion capture with animated blockbusters like Avatar. To make those films, actors are outfitted with special sensors designed to track their bodies at hundreds of frames per second. The information they gather is fed into a computer, where the human movements can be used to animate the body of an artificial character like a Na'vi princess. But motion capture is also useful for sport, in particular for getting super-precise data on the movements of all kinds of athletes, from runners to high-jump skiers. For these Olympics though, the US speed skating team have used motion capture in a different way. 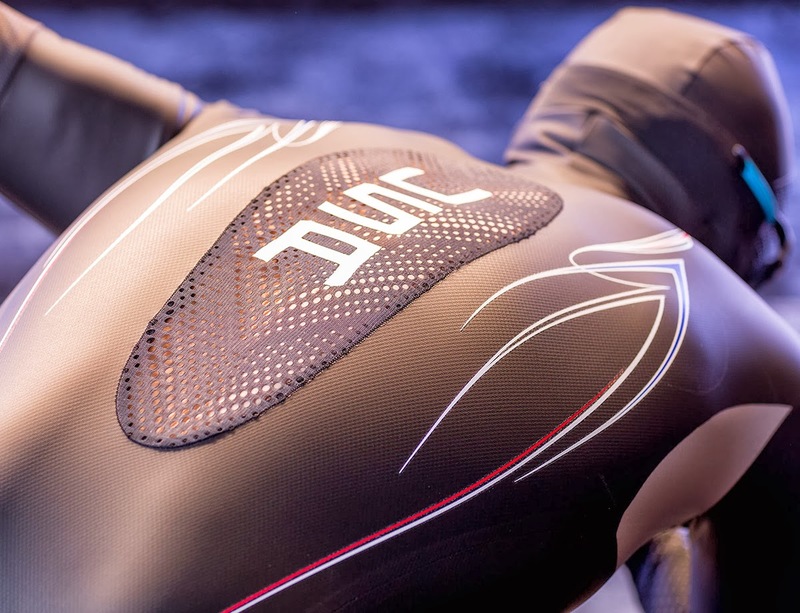 Clothing makers Under Armour, based in Baltimore, Maryland, teamed up with engineers at US aerospace and defence firm Lockheed Martin and used the technique to build the skaters a better suit. First, the team used motion capture to track Olympic-level speed skaters as they zipped around an ice rink. From the data collected, they built fibreglass mannequins in various poses that mimicked the ones adopted by the skaters. The team then dressed the mannequins in hundreds of different suits and put them through hundreds of hours of wind tunnel tests. This allowed them to examine how different materials and designs affected the air whipping past them. Given the results, the team used moulded polyurethane shapes to block airflow at certain parts of the body, as well as a different material on the thighs that reduced friction. They also moved the zip and added tiny dimples to the back of the hood to make the suit more aerodynamic. This isn't Under Armour's first experiment with motion capture – they have used it to make other products, including a line of sports bras. Details about the final ski suit, named the Mach 39, have been carefully guarded – though images have been released, as shown above. US speed skaters will sport the suits for the first time in public during the upcoming races at Sochi, starting on Saturday at 3.30 pm local time. Will the use of motion capture seal a win? Other teams are sure to have their own innovations – but historically, fractions of a second have made all the difference when it comes to speed skating. Thomas Friedman, the author of the excellent book on globalisation, The World Is Flat, explained this better than most. In the video link below on Richard Branson's Blog, he talks about moving from a connected to a hyperconnected world. The whole thing is well worth a watch, but particularly one striking comment about the revolution of social media. Video link to the Red Knight's blog.